Startling pulp theory-fictions, forays into cyberculture, occultural studies and popular numerics, paranoid cosmic conspiracy, and schizoid tactics for escaping the reality system recovered from the prehistoric lore of Lemurian Time Sorcery. From before the beginning (which was also, according to them, already the end), the adepts of the Architectonic Order of the Eschaton have worked tirelessly to secure the past, present, and future against the incursions of Neolemurian time-sorcery, eliminating all polytemporal activity, stitching up the future, sealing every breach and covering every track. According to the AOE, the CCRU "does not, has not, and will never exist." And yet... The texts collected here document the CCRU's perilous efforts to catalogue the traces of Lemurian occulture, bringing together the scattered accounts of those who had stumbled upon lagooned relics of nonhuman intelligence-a project that led ultimately to the recovery of the Numogram and the reconstruction of the principles of Lemurian time-sorcery-before disintegrating into collective schizophrenia and two decades of absolute obscurity. Meshing together fiction, number theory, voodoo, philosophy, anthropology, palate tectonics, information science, semiotics, geotraumatics, occultism, and other nameless knowledges, in these pages the incomplete evidence gathered by explorers including Burroughs, Blavatsky, Lovecraft, Jung, Barker, J.G. Ballard, William Gibson, and Octavia Butler, but also the testimony of more obscure luminaries such as Echidna Stillwell, Oskar Sarkon, and Madame Centauri, are clarified and subjected to systematic investigation, comparison, and assessment so as to gauge the real stakes of the Time-War still raging behind the collapsing facade of reality. 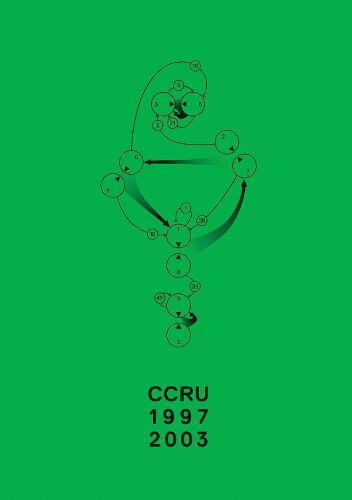 One of the most compelling and unnerving collective research enterprises to have surfaced in the twentieth century, the real pertinence of the CCRU's work is only now beginning to reveal itself to an unbelieving world. To plunge into the tangled mesh of these conspiracies, weird tales, numerical plagues, and suggestive coincidences is to test your sense of reality beyond the limits of reasonable tolerance-to enter the sphere of unbelief, where demonic currents prowl, where fictions make themselves real. Hyperstition.